Chennai Super Kings 0-139 (Michael Hussey 86*, Murali Vijay 50) beat Kings XI Punjab 138 (David Hussey 41, Gurkeet Singh 31, Dwayne Bravo 3-27, Dirk Nannes 2-17) by 10 wickets. 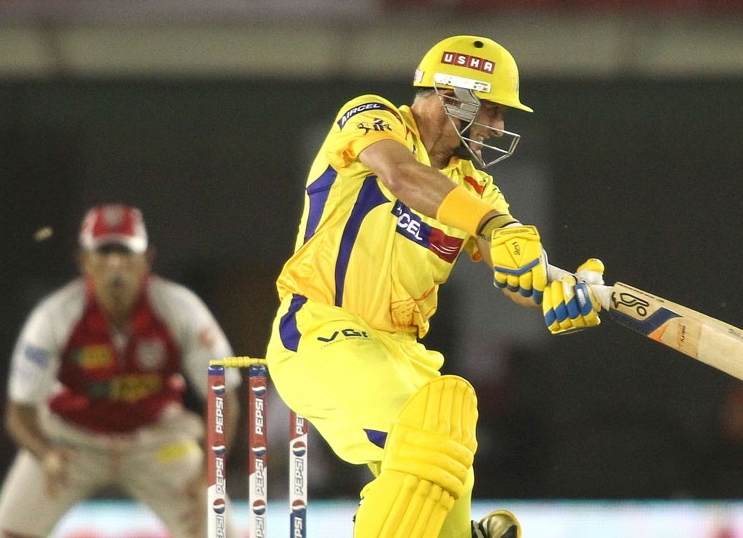 An explosive batting by Michael Hussey, well assisted by Murali Vijay, led Chennai Super Kings to their first victory in the IPL while beating Kings XI Punjab. Kings XI Punjab scored 138 runs before they were bowled out in 19.5 overs and Chennai Super Kings blasted 139 runs without any loss and 16 balls to spare. Michael Hussey (Chennai Super Kings) was declared ‘Player of the match’ for his unbeaten thundering knock of 86 from 54 mere balls. 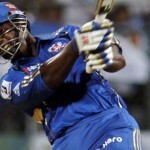 The 11th match of the Indian Premier League was played on Wednesday, April 10, 2013, at Punjab Cricket Association Stadium, Mohali, Chandigarh. 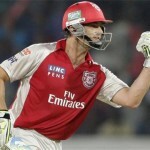 Earlier, the captain of Chennai Super Kings, MS Dhoni, won the toss and sent Kings XI Punjab into bat first. Mandeep Singh opened the innings with his skipper, Adam Gilchrist, and they scored 16 runs in the first two overs with a couple of fours. Dirk Nannes removed both of them in the next over at their personal contribution of nine runs each. Manan Vohra and David Hussey tried to consolidate the innings as the first hit 2 fours in the fourth over. David Hussey added two boundaries in the following overs and the score was taken to 50 in 7 overs when Vohra was caught by Michael Hussey off Ravindra Jadeja for 16. Gurkeet Singh walked in next as Hussey hit the first six of the innings in the 10th over and the first snatched 9 two overs later with a four. The tempo of scoring was accelerated and the first hundred of the innings appeared on board in the 14th over. The partnership was broken at 106 when David Hussey was gone for 41 off 36 balls with 1 six and 4 fours and Gurkeet Singh followed him 10 runs later for 31 from 26 deliveries with 3 fours. The rival bowlers took over from there and the middle order along with the lower one surrendered and their innings was folded back for 138 with one ball to spare. Dwayne Bravo was the highest wicket taker with three, Dirk Nannes and Chris Morris held two each whereas Ravindra Jadeja and Ravichandran Ashwin shared one wicket each. Michael Hussey and Murali Vijay started off well for Chennai Super Kings as the initial five overs resulted in 31 runs comprising 3 fours from the first and one from the latter. Hussey got a life at 25 when he was dropped by the bowler Piyush Chawla at his own bowling in the eighth over. The batsman utilised the chance by accumulating 11 runs in the next over with the assistance of 2 fours whereas Vijay kept on cruising at his end. The pair added another 3 fours in the 13th over, Michael Hussey also completed his fifty and the score went past the hundred runs mark in the 15th one. The next two overs witnessed an addition of 29 runs with 1 six and 2 fours from Hussey and 1 six from Vijay who attained his half century in the process. Michael Hussey remained unbeaten for 86 off just 54 balls with 2 towering sixes and 11 fours whereas Murali Vijay secured his end with 50 from even deliveries comprising 1 six and 3 fours. Chennai Super Kings achieved the target by thrashing 139 runs in just 17.2 overs, they clinched the match with a huge margin of 10 wickets and got two points. Tags: Chennai Super Kings, David Hussey, Dirk Nannes, Dwayne Bravo, Gurkeet Singh, IPL 2013, Kings XI Punjab, Michael Hussey, Murali Vijay.